Pricing Information: All enabled CRM users are counted (including Read Only users, Admin Only users, Office 365 Global Admins and Service Accounts). A minimum of 5 seats is required. You want to create and design online forms without programming skills and embed them into your website or e-mails? No problem! 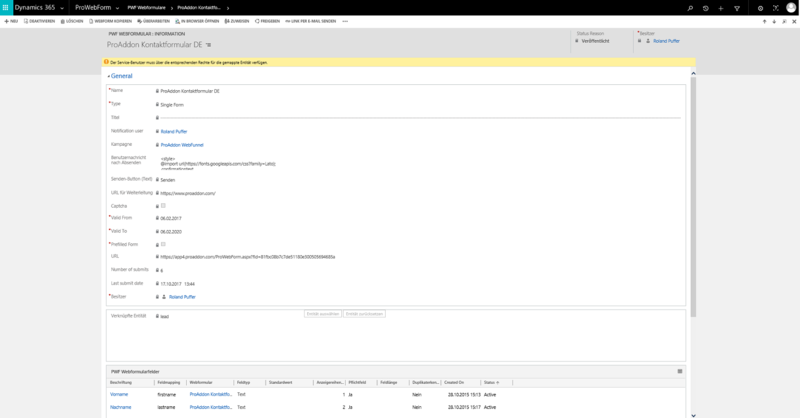 With ProWebForm, you design various types of HTML forms based on Dynamics CRM/Dynamics 365 fields in a jiffy and without programming, and you create them according to your wishes and publish them wherever, whenever and as often as you want. Create individual online forms such as contact forms, registration forms, order forms, e-mail forms, newsletter registration forms, support forms, etc. Use the HTML form code to link the form to or directly embed it into your website, mailings, etc. Requests from already existing contacts, leads, companies, etc. are directly associated to these. For requests from unknown contacts, leads, companies, etc. ProWebForm automatically creates new data sets. In which languages is ProWebForm available? ProWebForm is available in all possible languages of Microsoft Dynamics CRM. Where can I find the ProWebForm functions for creating HTML forms? 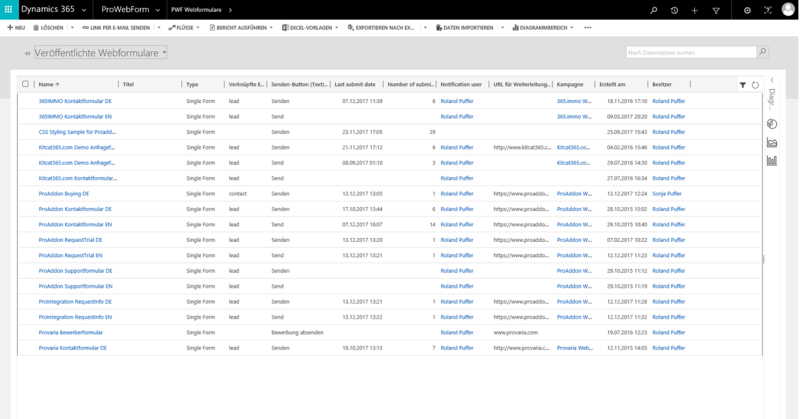 All ProWebForm functions can be found in the upper area of the ribbon with the other standard functions of Microsoft Dynamics CRM / Dynamics 365. This is where you can create and manage HTML web forms and other submitted requests (web form activities). Do I need particular programming skills for creating HTML webforms? No. With ProWebForm you can create forms without any programming directly in your CRM system. How adaptable are the HTML forms? 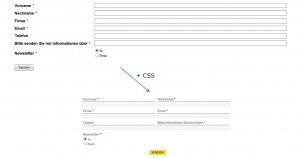 You can design the HTML forms according to your wishes. In order to create online forms you can use all fields that are available in your CRM system (standard as well as custom). Define the field types and their order as well as the answer options (single-line text, multi-line text, drop down, single choice, multiple choice, e-mail address etc.). Adapt the text on the send button and define the message that will be displayed after sending the form. as well as the page to which the sender will be forwarded. 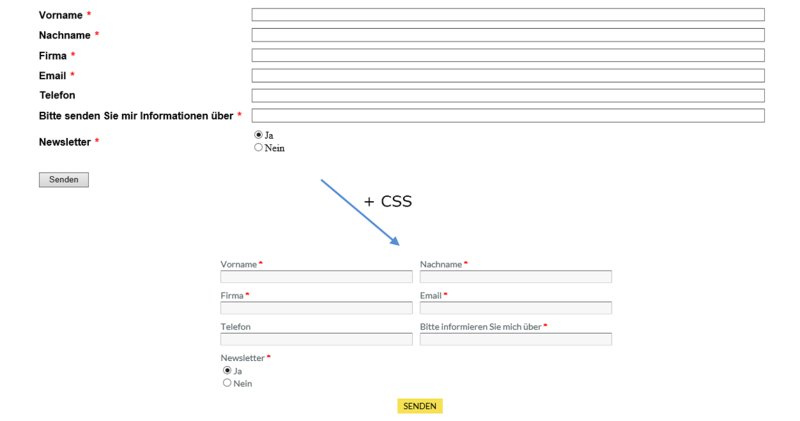 Adapt the design of your HTML form to your corporate design with CSS. This means you have complete flexibility regarding the type of form (contact form, order form, registration form, e-mail form, etc.) and its design. Where can I find the submitted requests? 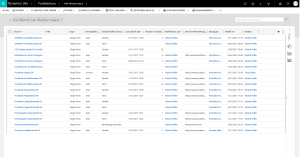 You can find the submitted requests directly in your CRM system in the upper area of the ribbon with the other standard functions of Microsoft Dynamics CRM / Dynamics 365. Is cloud operation possible for ProWebForm? Yes. ProWebForm can be run in the cloud. 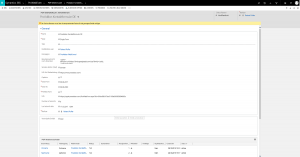 How is ProWebForm charged – per CRM instance or per user? ProWebForm is charged per user/month. As every CRM user can use the functionality of ProWebForm and particularly can access the generated activities by ProWebForm, its mandatory to pay for every enabled CRM user. Moreover, please note, that a minimum of 5 seats is required. Quickly create dynamic marketinglists by using HashTags to categorize CRM records - no coding needed!